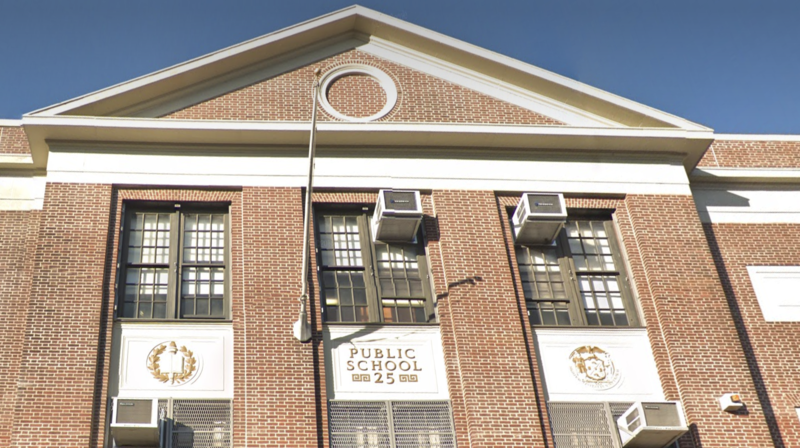 BEDFORD STUYVESANT – The city’s education policy panel gave a formal stamp of approval for Success Academy to run a middle school in the same building as a small Brooklyn elementary school Wednesday night, less than a year after the charter network unsuccessfully pushed for the space. Success Academy Lafayette, a middle school that was forced to open in a different building this school year, will now move into the P.S. 25 building in Bedford-Stuyvesant next school year — a year later than the charter network had hoped. The formal vote of approval came from the city’s Panel for Educational Policy, which must sign off on co-locations between district and charter schools. Education officials first said they would allow the charter school to move into the building last month. Although proposals that involve district and charter schools sharing space are often contentious, the proposal was approved by the panel Wednesday night without a dissenting vote. (One member abstained.) Several Success Academy parents from multiple schools spoke in favor of the plan — and for preserving school choices more broadly. “Great day for kids. They are back in their building!” Success spokeswoman Ann Powell wrote in an email after the vote. The broader story about the charter network’s fight for space in the P.S. 25 building is far more complicated, however. It is related to a separate and fraught court battle, which is still ongoing, over whether the city has the legal authority to close P.S. 25. To understand this latest move, and how it fits into that bigger picture, it helps to know the fraught backstory behind this single Brooklyn school building. Here’s an explainer we published last month about the dispute. The co-location fight is now officially over, but there is still the active lawsuit that will determine whether P.S. 25 is allowed to remain open.